What is Full Form Of CTET ? It Stands for Central Teacher Eligibility Test, which is conducted by CBSC (Central Board of Secondary Education) in accordance with the guideline framed by NCTE (national Council for Teacher Education). CTET is compulsory for all the candidate who wants to make his/ her carrier in Teaching field. Department will appointment as teacher post in Government School Like KVS/ NVS/ Tibetan School from Class 1st to 8th. First time Teacher Entrance exam was conducted on 2011. CTET Exam is Conducted after every 6 months. What is Central Teacher Eligibility Test Eligibility Criteria ? Who Can Apply For CTET 2018 Exam ? What is Age Criteria For CTET 2018 Eligibility Details ? How To Registration For Central Teacher Eligibility Test Check step-by-step CTET Online Form Process ? What is Important Of Admit Card & How to Check/ Download CTET 2018 Exam Hall Ticket ? About Central Teacher Eligibility Test (CTET) : The Ministry of Human Resource Development, Govt. of India has entrusted the responsibility of conducting the Central Teacher Eligibility Test (CTET) to the Central Board of Secondary Education Delhi. Certificate is mandatory to become a teacher for classes I to VIII in any central government school. For recruitment of teachers for government – run and aided schools. This Central Teacher Eligibility Test (CTET) conducts in following Three Categories are given below. Name of Central Govt. Schools : KVS, NVS, Tibetan School etc. Senior Secondary (or its equivalent) with at least 45% marks and passed or appearing in final year of 2- year Diploma in Elementary Education (by whatever name known), in accordance with the NCTE (Recognition Norms and Procedure), Regulations, 2002 for Classes I-V. Graduation with at least 45% marks and passed or appearing in 1-year Bachelor in Education (B.Ed), in accordance with the NCTE (Recognition Norms and Procedure) Regulations issued from time to time in this regard for Classes VI-VIII. Relaxation of 5% in minimum qualifying marks at BA/B.Sc./Senior secondary level is admissible for SC/ST Candidates. Applicants who are searching for Check age limit, then check this section. Candidates minimum age limit should be 18 years & Not limited upper age. After releasing the CTET 2018 advertisement Competitor can check the age limit. form this section. Candidates will be paid the Central Teacher Eligibility Test (CTET) category wise Exam Fee given below. 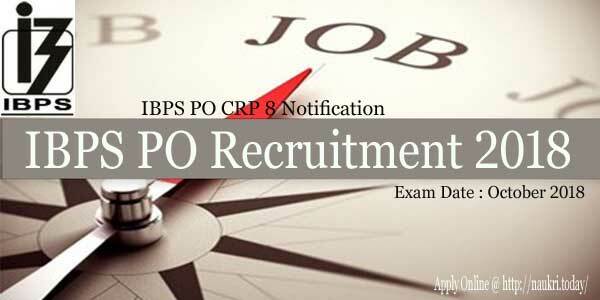 For General/ OBC Category candidate :- Rs. 700/- for Only paper I or II and Rs. 1200/- for both paper I & II. For SC/ST/Differently Abled Person category candidate :- Rs. 350/- for Only paper I or II and Rs. 600/- for both paper I & II. The contestant who is check all eligibility criteria, if they are eligible then start application process. Candidates can apply ‘ON-LINE’ at Board’s website www.ctet.nic.in. The applicants should enter all details while filling the Online Form. Candidates are required to take a print out of the computer generated registration form. Applicants can pay a fee, if fees is paid by challan or online mode. Competitor can print out application form for future reference. 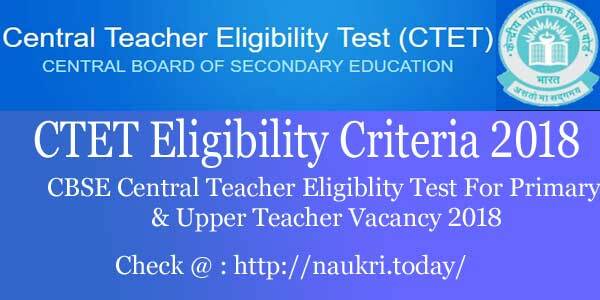 Apply Online For Central Teacher Eligibility Test. We are providing here step-by-step process. Go through the detailed instructions available on the website. The candidates can start registration process with the basic information. After that generate registration id & Password. After pay fee checks form & click on submit button. A confirmation page will be generated that the candidates need to keep safely for future reference. Applicants who are fill the application form should appear in Teacher Entrance Test. Contestant will be selected on the basis of marks obtained in the Examination (Paper I and Paper II). Ist paper for Primary Class & IInd paper will be for Upper Primary Class. After that, exam qualified candidates will call for personal interview. We are providing given below section full details for CTET 2018 Syllabus in Hindi & Exam Pattern. Download Exam Pattern of Central Teacher Eligibility Test. Paper I : For those want to become teachers for classes I-V.
CTET Exam Paper II : For those want to teach classes between VI and VIII. Paper I and II : Those interested in teaching from Class I to VIII will have to appear and qualify in both the papers. There will be 5 subjects / Sections in Paper I and paper II. Each section / subject will have 30 objective multiple choice type questions carrying one mark each. Duration of the exam is one and half hours. Following are the papers. Check here for full details of the exam syllabus. E-admit card is very important documents for all the candidate who appears in exam. Without hall ticket candidate can’t appear in the examination hall. IN Admit Card many information available, which is important for students. Such as Name of candidate, father name, exam center, exam date, time of exam and many more. Our team is providing here direct link for download admit card after releasing by the department. We are also providing here step-by-step instruction for downloading call letter. Very first interested students need to access the main website page of TET. Then candidate need to enter their personal details in the specified column. Filled complete mandatory info, press on submit. And take the print out as attending the written test. As per the guidelines of NCTE, Candidates who secure the minimum 60% (i.e 90/150) marks (55% for SC/ST/PH candidates) in Criteria For Central Teacher Eligibility Test (CTET) 2011 will be declared pass and they will be awarded by TET Certificate. Cut off marks depends on the various factors like appeared candidates strength, Exam Level, maximum marks. Dear candidate who are searching for CTET result. then we are providing here. Department has released the exam result after completion of exam. Those Candidates who had to appear in this examination are now expecting CTET 2018 Result . Job Hunters who wish to appear in the next selection round Personal Interview must have to qualify in CTET exam. 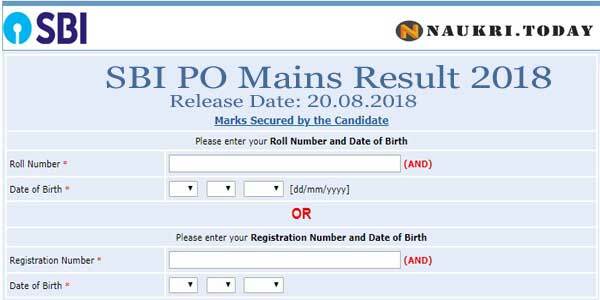 So, candidates can get the Cut off Marks & result by Roll No, Name and DOB. On this page, we provide the Direct link to download the CBSE CTET Exam Result & Score Card. Conclusion CTET 2018 : The Central Teacher Eligibility Test CBSE Board is an Indian entrance examination for teachers that conducts the Indian CBSC (Central Board of Secondary Education) Teacher Eligibility Test Certificate examinations for Class I to Class VIII respectively. Central Teacher Eligibility Test Information Guide will declare the Syllabus, Exam form, exam pattern admit card & result at the official website or on here.